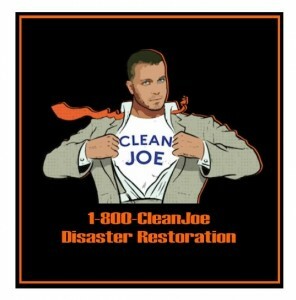 CLEAN JOE, Making Restoration great again! It is my personal goal to help you navigate through any emergency situation you may encounter and get your life back to normal, with the least amount of stress or disruption. We know the devastation fire, water or mold damage can cause and here at Clean Joe, we pride ourselves on treating everyone as if they are part of the family, we are always here to answer any questions that may arise and we work with all insurance companies to make sure your property is restored to pre-loss condition or better. Clean Joe is family owned and operated since 1983. We were first established as Josef’s Carpet cleaning by my father. Throughout the years, as our business grew we transitioned into Josef and Sons. Finally, in 2009, with a lot of hard work and determination I took over the family business and Clean Joe became what it is today. From extensive training and IICRC-industry certification, using top notch equipment and the latest techniques to restore your property efficiently. We strive to give you peace of mind in any emergency situation. Please visit our website cleanjoe.com and our facebook for more information and safety tips.